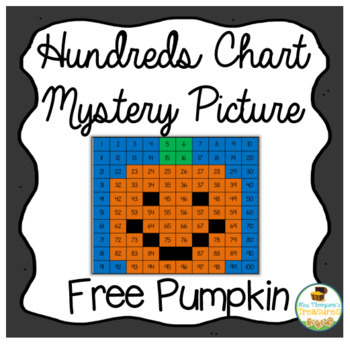 What better way to check your students' number sense than with a fun hundreds chart mystery picture? This free pumpkin cutie comes in 2 versions so you can differentiate as needed! Students can color in the squares by using the key on a chart that is already filled out, or they can use the blank chart to fill in the numbers 1-100 and then complete the mystery picture! Either way, they will love it! Grab it for free HERE!